Ideal for: Restaurants, Food Processing Facilities, Hotels / Motels, Schools, Food Distribution Centers, and other facilities that require reduced or eliminated chemical pest control. Worn, missing, or damaged door sweeps are one of the most common entry points for mice, rats and other pests. Xcluder® Pest Control Door Sweeps feature our patented Xcluder® fill fabric providing a barrier that is virtually impenetrable to rodents and other pests. The reinforced neoprene rubber provides a durable weatherseal that can pay for itself in energy savings. Xcluder® Pest Control Door Sweeps are easy to install and fit most common door sizes. Available in Clear Aluminum, Gold, and Dark Bronze finishes. Custom lengths are also available. Contact us for more information and ordering. The astragal seal provides rodent proof protection for the vertical gap between double doors. 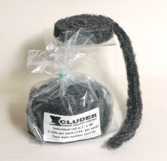 Xcluder® Astragal Seals feature our patented Xcluder® fill fabric providing a barrier that is virtually impenetrable to rodents and other pests. The reinforced EPDM rubber provides a durable weatherseal that can pay for itself in energy savings. Xcluder® Astragal Seals are easy to install and fit most common door sizes. 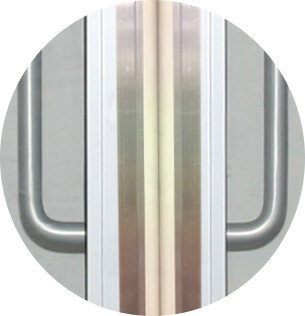 Reduce maintenance costs and improve health and safety regulatory compliance with the Xcluder X2 Door Bottom Seal System. The Xcluder X2 retainer allows the combination of the Xcluder Rodent Proof Door seals and a durable brush seal (optional). With a durable rubber outer layer lined with our patented Xcluder fill fabric the door seal provides dependable protection against rodents and the elements. The brush seal faces the inside of the door and conforms to textured surfaces such as dock plates, eliminating tiny gaps and blocking light and insects. Info sheet for details. Prevent rodents like mice, rats and chipmunks from gnawing through the vertical weatherstripping on the sides of garage doors. 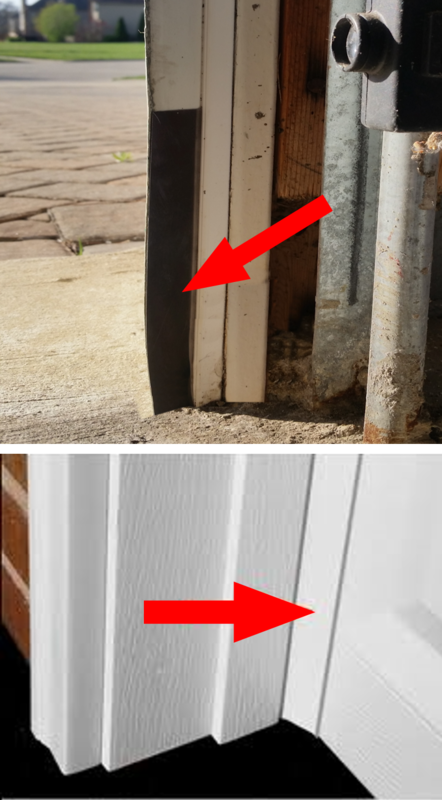 Xcluder® Garage Door Rodent Shield is an inexpensive, easy to install exclusion device that makes it impossible for rodents to gnaw their way in through the soft weatherstripping. 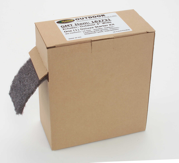 The Garage Door Rodent Shield is made of stainless steel with a weatherproof adhesive backing. 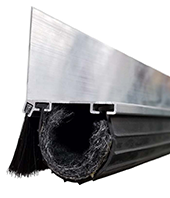 When installed on the back of the weatherstrip the Garage Door Rodent Shield provides dependable protection without affecting the appearance of the door. For complete protection, install the Garage Door Rodent Shield along with Xcluder® Pest Control Door Seals for garages. Unprotected dock levelers are an open door for rodents and other pests. Xcluder® Pest Control Dock Leveler seals feature our patented Xcluder® fill fabric providing a barrier that is virtually impenetrable to rodents and other pests. The reinforced neoprene rubber provides a durable weatherseal that can pay for itself in energy savings. Xcluder® Slide-n-Seal dock leveler seals are easy to install and fit most common leveler sizes and types. Slide-’n-Seal replaceable rubber seal fits most standard brush retainers making upgrading your protection as simple as sliding out the old brush and sliding in the new Xcluder Slide-n-Seal replaceable rubber seal. See the info sheet for details. Often overlooked and left unprotected the opening for the pull chain on dock levelers is an ideal entry point for mice and rats. The chain provides a built in ladder for pests and the chain opening is more than big enough for rats or mice to squeeze through. 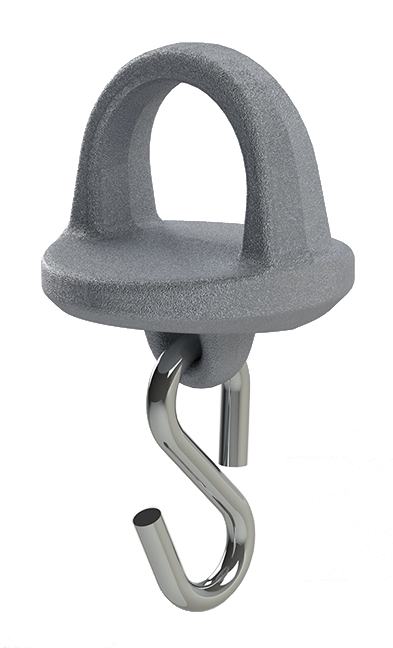 Xcluder pull chain seals feature solid cast aluminum construction, are easy to install and completely cover the chain opening providing dependable protection against mice and rats. The seals are designed to sit completely below the surface of the dock plate and will not interfere with material handling equipment. See the info sheet for details. A single roll of Xcluder® packed in a dispenser box for easy installation. Safety shears are included for cutting Xcluder®, as well as safety gloves and installation instructions. A great way to begin your exclusion projects. 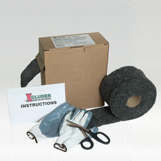 A single 10 foot roll of 4" wide Xcluder® in a dispenser box. Offers the same coverage as a 100 foot roll of copper mesh, at less than half the price. Five 10 ft. rolls of 4" wide material. The most economical way to buy Xcluder® for those large exclusion projects. Easy to handle 1" x 4' Ft Xcluder® STRIPS packed 3 rolls per bag, the perfect size for all those hard to reach area's up on the roof line, around chimney flashing, underneath indoor sinks, around out door HVAC pipes and weep holes. Protect Cables & Wires from gnawing rodents in areas where exclusion is not practical. Made of the same tough blend of stainless steel and polyester fibers used in our trusted Xcluder®; Fill Fabric, Xcluder®; Wrap features strong, weather resistant adhesive backing that adheres securely to almost any surface. 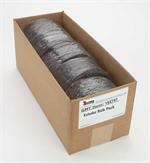 Available as 10' rolls in 2" (#162800), 4" (#162801) and 8" (#162802) widths. 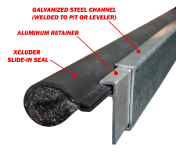 XCLUDER®; BLOCKS are the ideal exclusion material for all cracks, holes and openings where birds are nesting or roosting. Easy to handle 2" x 2" x 7.5" offer the perfect solution to eliminating open area's for most corrugated metal buildings. XCLUDER®; Geo enables you to protect expensive landscaping from damage due to burrowing and tunneling animals. Ideal for amusement parks, playgrounds, flower beds, gardens, golf courses, industrial parks, levees, canals, river banks, shopping malls and out door dining patio's. 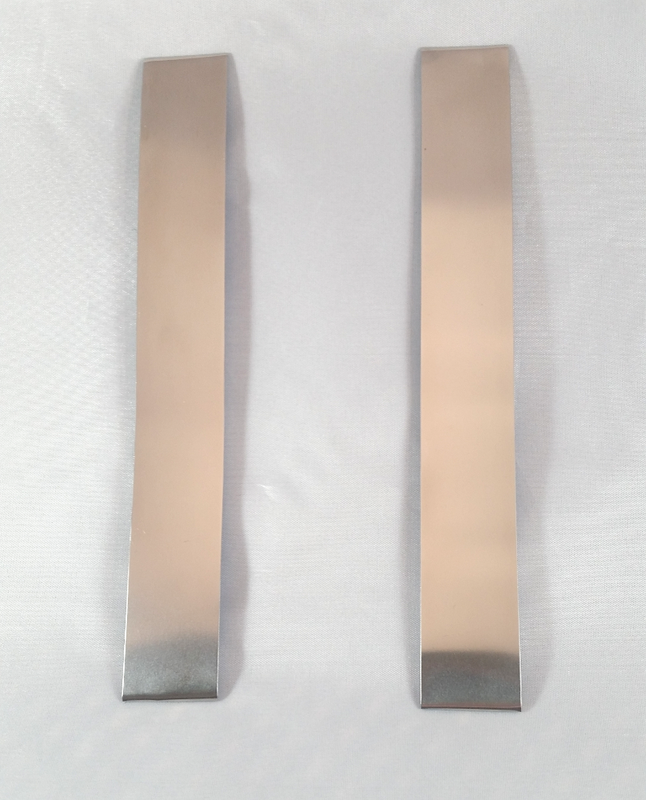 Available in 2 basis weights, Geo-900 (Single-Sided) and Geo-1800 (Double-Sided) . Standard size rolls are 6 x100' ft long, also available in 6'x50', 6'x25' and 3'x25'. Prevent rats and mice from nesting in concrete (cinder) block walls. The hollow openings in cinder block walls provide an ideal nesting area for rodents. Xcluder® block caps eliminate this key harborage area by providing an economical, permanent seal to the exposed openings in cinder block walls. Installs easily with common landscape adhesive. XCLUDER® is more effective, costs less and is easier to install than other exclusion methods.